Can SPOT trackers work upside down? One of the often quoted drawbacks to the use of SPOT trackers for high altitude ballooning is that the antenna needs to point up. Such is the perceived need for SPOT trackers to point up to the sky that some people go to the lengths of making a gimbal that keeps the tracker upright. My experience of HAB flight using SPOT trackers suggests that it you may not loose contact with your SPOT tracker if it does go upside down. My first experience is that the SPOT tracker rarely spends much time pointing straight up. With the pitch and yaw of the payload, the tracker is most often not pointing straight up. Further, I have seen improved coverage from orientating the tracker to the horizon, and in line with the main HAB tether line. 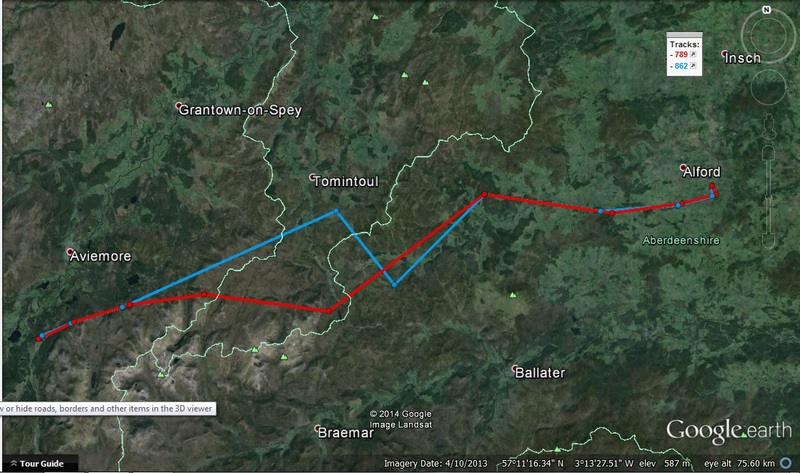 In a flight I carried out on 8th October 2013, I had two SPOT trackers for tracking. The SPOT Messenger (green) was in a polystyrene payload box and a SPOT Gen 3 (blue) was attached to the tether line and arranged parallel to the tether line. Here is the resultant track. Both trackers worked and the SPOT Gen 3 operated marginally better. In a collaborative flight I did in July, 2013 I used two SPOT Messenger trackers, one orientated upwards towards the sky and the other intentionally orientated down. The flight was designed to ascend the payload upright and descend the payload upside down. Throughout the flight contact was maintained with both trackers in broadly equal proportion. The payload happened to land on it’s side and both trackers carried on reporting their location until they were turned off. But what if the tracker lands upside down? In this circumstance it is common belief that the SPOT tracker will not report it’s location. But this is not always the case. In several of my HAB flights, even though the SPOT tracker has been face down, the tracker has still been able to return location messages. 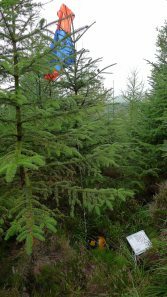 In this instance the payload (bottom right) was upside down in an upland forest in wales and the SPOT still reported it’s location. 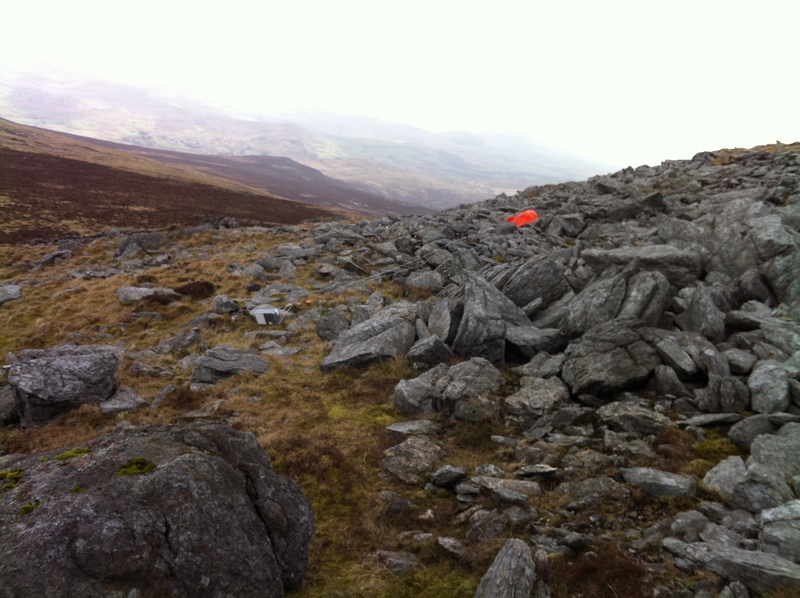 In a HAB flight over Snowdonia, the SPOT Gen 3 (centre left) positioned on the main tether landed face down but was still able to return it’s location. The SPOT tracker is not always able to return it’s location messages when face down and I have come across instances when it has not been able to return the location of it’s final resting place. And while this is not a study, just anecdotal evidence, it does show that the spot can still work even though the tracker is upside down. So you’re saying there have been instances when it hasnt been able to return its final resting place? What would you say are the odds of that happening?